The media in recent weeks has been full of news – perhaps it’s more appropriate to call much of it “opinion” – about the state of microfinance in India and Bangladesh. A casual glance at headlines would seem to indicate that, for the microfinance sector, the sky is falling over south Asia. Indian microfinance institutions (MFIs) in the state of Andhra Pradesh (AP) have been embroiled in controversy about loan-collection practices … politicians in AP looking to curry favor with the public have urged borrowers not to make payments on their loans … the state government in AP has passed a restrictive law that has brought lending to a standstill … even Nobel Prize winners Professor Muhammad Yunus and Grameen Bank are fighting accusations of improper financial transactions and rumors of Prof. Yunus’s resignation as Managing Director. Let me say from the start, with absolute confidence, that the allegations against Prof. Yunus are baseless. The “controversy” surrounding him stems from a biased and inaccurate documentary that aired on Norwegian TV in early December (which I wrote about on Dec. 9), from a partisan Bangladeshi media machine that seems more eager to report rumors than to focus on responsible journalism, and from a polarized political environment in Bangladesh, where government ministers who once championed microfinance are now reportedly thinking about compromising the independence of Grameen Bank and forcing Prof. Yunus from his post as leader of an organization that has done so much good for so many people. As the world has turned its focus to the situation in south Asia, responsible reporting about the situation in India and Bangladesh has begun to emerge. In mid-December, in the Financial Times (free registration required to access the story), a group of noted economists called for a thoughtful approach to microfinance reform in India. Last Wednesday, The New York Times ran a comprehensive and balanced analysis of the situation in both countries, while on Thursday columnist Nicholas Kristof wrote a spirited defense of Prof. Yunus. The Economist also has taken an objective look at the situation facing Prof. Yunus. In addition, a recent study of Grameen Bank’s interest rates by Chuck Waterfield of MicroFinance Transparency (one of the leading authorities on microfinance interest rates) noted that “Grameen has an extremely simple and transparent pricing system” with a “transparency index” of 100% – which Chuck notes “can be considered a ‘perfect score,’ or a completely transparent price.” This means that Grameen Bank’s stated interest rate for its basic loan – which, at 20%, is already among the lowest among MFIs around the world – is exactly that amount, rather than the higher rates claimed by the maker of the documentary mentioned above. Over-indebtedness has reportedly been a problem for clients of for-profit MFIs in Andhra Pradesh. In the ideal model of microfinance, small loans are made to the poor – typically women – who use the funds to invest primarily in income-generating businesses, rather than using the funds primarily for consumption. Despite the complexities of the situation, Grameen Foundation has clear, straightforward views about the best approach to microfinance in India – and around the world, for that matter – and we are taking concrete steps in India to support MFIs that have a clear mission to serve the poor. Simply put, we believe that microfinance works best when MFIs take a “double bottom-line” approach to their business – that is, that they focus as much (if not more) on their social bottom line as they do on their financial bottom line, and that they use tools like the Progress out of Poverty Index™ (PPI™) to measure and report on their effectiveness at reaching out to and serving the poor. This is a point I emphasize in the Times article mentioned above. Because of certain politicians’ actions affecting the microfinance sector in Andhra Pradesh and a delay in the Reserve Bank of India’s response, sources of funding to MFIs throughout the country have been reduced. To support double-bottom-line institutions in India, we announced in December an $8 million loan-guarantee program that we believe will unlock and generate financing from local banks to poverty-focused MFIs that meet our investment criteria and are not affected by the AP situation (Grameen Foundation is not currently working with any MFI in AP). The guarantee funds consist of $4 million in guarantees each from Grameen Foundation (through our Growth Guarantee program) and Grameen-Jameel (our joint-venture social business based in the Middle East), and will be facilitated by our Mumbai-based partner, Grameen Capital India. The Economic Times of India and the Financial Times both reported on the guarantees and, importantly, the Reserve Bank of India (RBI) followed our announcement with formal request to banks resume lending to MFIs (reported by Reuters). While I don’t presume to think that our action prompted the RBI to make this move, it certainly didn’t hurt, and it’s a good example of Grameen Foundation responding nimbly and providing leadership in this area. Consumer Protection. Minimum standards for protecting consumers’ rights need to be set and enforced. This will need to be mandated and orchestrated by the federal government, but the system can be created and run primarily by the private sector. A cornerstone of a consumer-protection strategy would be the establishment of a nationwide credit bureau (as has been done for the microfinance sector in Peru). This would help MFIs ensure that borrowers do not have multiple loans, and are using the loans to fund income-generating business, rather than consumption. Improved Transparency and Accountability. Though not all MFIs need to be “socially motivated,” all should meet standards for ethical behavior. Some taxation and regulatory benefits might even be available only to those MFIs that meet defined criteria for bringing socio-economic benefits to poor clients. To receive these benefits, socially-motivated MFIs should be required to meet defined standards, which could include using a recognized social-performance monitoring tool (like the PPI) and matching executive compensation (as well as dividends and other payouts to already-prosperous investors) to the MFI’s overall financial and social performance on a year-to-year basis. Ensuring Adequate Finance. Regulators over time have closed down a variety of viable financing options for Indian MFIs, forcing them to borrow from Indian banks (which lend to MFIs at interest rates of 10-13%) and private-equity investors from overseas (who are usually eager for profitable exits within 3 to 5 years). MFIs should be able to access financing from a variety of sources, including savings (this is not currently the case in India, as most MFIs cannot offer savings accounts). Regulatory Reform. While mentioned last, this is by no means the least of the elements. The Indian government should respond to the current crisis in a progressive, forward-looking way that advances financial inclusion and poverty reduction by centralizing and rationalizing the regulation of all types of Indian MFIs. Ideally this should be done at the federal level and by a regulator that does not have obvious conflicts of interest (as many state governments do, because they fund and manage “self-help groups” that compete with MFIs in giving loans to the poor). Peru’s approach to regulating microfinance has many positive lessons for India; we have shared the relevant parts with Indian regulators. 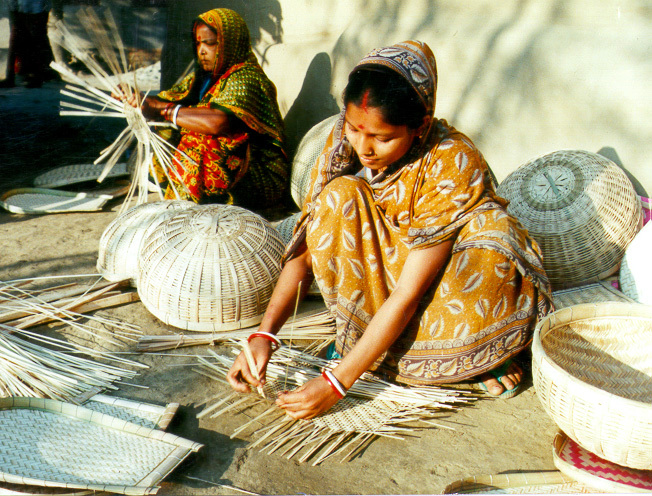 To sum up, the Indian and Bangladeshi microfinance sectors, which collectively account for more than 50% of the world’s microfinance clients, are important to the microfinance sector as a whole. If – as we are confident it will – India can come up with creative ways of promoting the sustainable growth of pro-poor microfinance while weeding out the “bad actors” in the sector and recasting an unworkable regulatory patchwork of laws, and if the Bangladeshi government backs away from moves to compromise the independence of Grameen Bank, it will provide a boost to microfinance not just within south Asia, but across the globe. Grameen Foundation will be there every step of the way, fighting for an approach to microfinance that never strays from its original purpose – to enable the poor to lift themselves and their families up out of poverty. This entry was posted on January 7, 2011 at 6:47 pm and is filed under Uncategorized. You can follow any responses to this entry through the RSS 2.0 feed. You can leave a response, or trackback from your own site. This is a truly great blog and you give so many facts about world poverty. Do you ever think we can rid the world of poverty? It seems like an impossible task yet surely as humans we have overcome greater challenges than this? Thanks for your excellent work – you have educated me this day! “A vibrant viable microfinance sector is essential in India, where more people live in poverty than in all of Africa”..wow i just knew about this after read your great article. It’s not Royal Bank of India, but Reserve Bank of India that frames regulations for NBFCs that encompasses MFI, in India.